Stefan Doomanis | Barry Burnett Realty, Inc.
Stefan became a licensed real estate agent in 2015, and has worked alongside Barry Burnett since that time. He is a member of the Burbank Association of Realtors®, where he serves on the Board of Directors, as well as a member of both the Legislative and the Young Professionals Network Committees for BAOR. He has also earned the Senior Real Estate Specialist designation and At Home with Diversity certification through the National Association of Realtors®. An accomplished entrepreneur, Stefan started his first business in high school and joined his family’s corporation in 1994. As president of Dynamic Advantage, Stefan is the visionary behind each unique customer-centric “mystery shopping” experience integral to the company’s success. He has extensive experience in multinational and multilocation customer retention programming, competitive intelligence, and customer experience consulting, and frequently consults on client engagements across the U.S., Asia, and the Middle East. Stefan was born in the San Fernando Valley, and grew up in Encino and then Pasadena. He currently lives in Santa Clarita with his wife, Cherie, and son, Peter. He sits on the board of the Mystery Shopping Providers Association, the professional trade association representing the industry worldwide, as well as numerous other charitable boards. 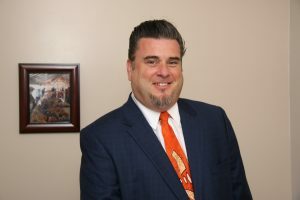 He is also a member of the Burbank Chamber of Commerce, the Better Business Bureau, the Campbell Hall Alumni Association, and numerous other community associations. He is also on the Board of the California Scottish Rite Foundation. "Service is obviously not just a buzzword or a framed inspirational message for you or your team - it is readily apparent to Shanon and I that you weren't just doing your "job", but that you were doing what was necessary in order to take care of my family." William Martin, Forest Lawn Memorial Parks Corp.